More collaborations are expected at Sunday's Grammy Awards. 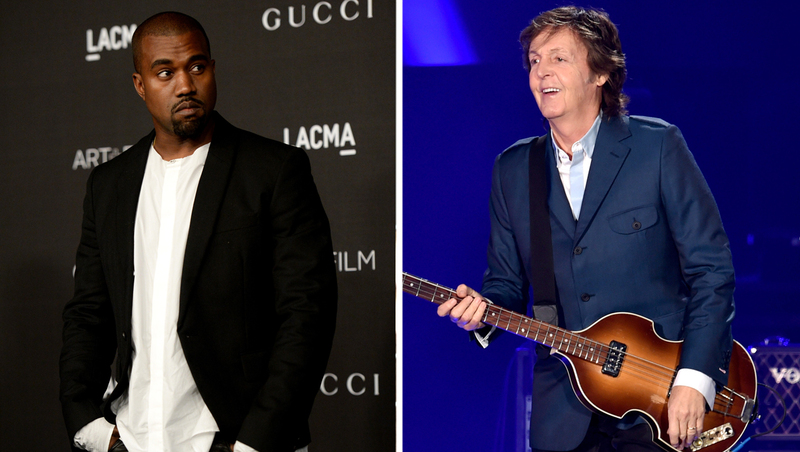 Paul McCartney, Kanye West and Rihanna will perform their new single, "FourFiveSeconds," at the show. The announcement comes the same day the trio of performers premiered a video for the single. It will mark West's first return to the Grammys stage in six years. He's up for two Grammys this weekend, including best rap song and rap/sung collaboration for "Bound 2" with Charlie Wilson. Rihanna will battle against the hip-hop star for best rap/sung collaboration for her hit with Eminem, "The Monster." Other Gramnmy performers include Lady Gaga and Tony Bennett, Common with John Legend, along with Eric Church, Ariana Grande, Hozier with Annie Lennox, Jessie J with Tom Jones, Miranda Lambert, Adam Levine with Gwen Stefani, Madonna, Ed Sheeran, Sam Smith, Usher and Pharrell Williams. Beyonce, Sam Smith and Pharrell top this year's nominees with six nods each. The Grammys will air live from Los Angeles' Staples Center on CBS. Tell us: Which performance are you most excited about?